Born in Preston, Conal attended the Liverpool Academy, playing for the U18s and reserve sides and also making the Republic of Ireland under 19 side. The striker was released by Liverpool in May 2006 and joined AFC Bournemouth, but only made a single first team performance in the League Cup. He went out on loan to Morecambe in November 2006 for three months but picked up an injury and returned halfway through the loan period. 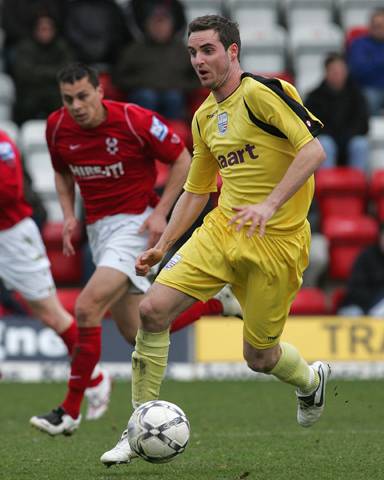 He then went on loan to Weymouth in February 2007 until the end of the season. He was released by Bournemouth and joined Weymouth at the start of the 2007/08 season. Due to financial problems at the Dorset club, he arrived at Nene Park on 28 February on loan until the end of the season. Conal returned to Weymouth and was released. He joined Forest Green Rovers on 20 May 2008, where he remained for two seasons, before joining Conference side Cambridge United on 17 June 2010. On 30 September 2011, Conal went on a one month loan deal with fellow Conference side AFC Telford. On his return to Cambridge, he went on a further loan deal with Lincoln City on 4 November 2011, a deal which was made permanent on 6 January 2012, with an 18 month contract with the Imps. He suffered a broken leg the following month which kept him out of action for nearly a year. After just one substitute appearance in the 2012/2013 season, he left by mutual consent on 7 March 2013 with a total of 18 appearances, and three goals. 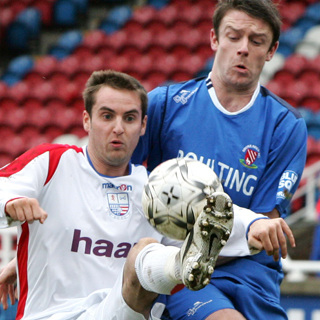 He joined Conference North side Gainsborough Trinity the same day, where he scored 4 times in 14 appearances. On 9 July 2013, Conal joined fellow Conference North side Stalybridge Celtic. He stayed there for a season, and was then released.